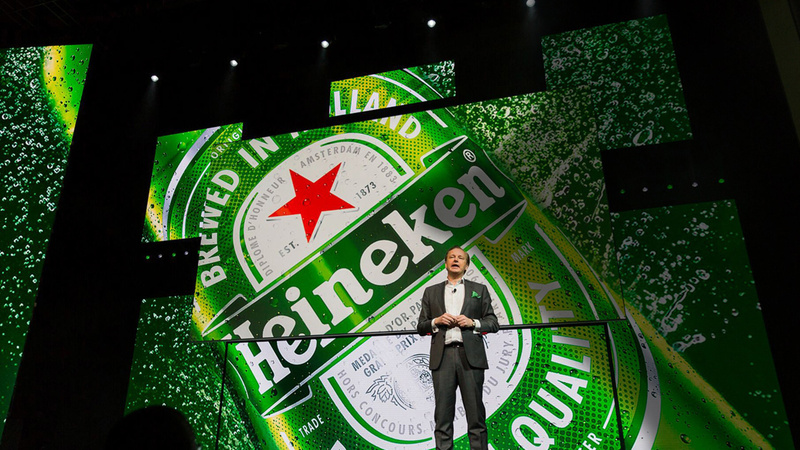 When HEINEKEN USA decided to move out of traditional theaters, we took them to the next level. By creating a “room within a room” at the Dallas Convention Center we controlled every single element of the space. We immersed the audience in super high-def LED. The set featured 3 giant LED screens and, the pièce de résistance - the entire 80’ x 40’ floor was also LED! Despite the size of the stage, the presenters and audience told us the show was incredibly intimate and connected. Wanna see something cool? Watch this video. If you don’t think it was worth a minute and a half of your time, the next beer is on us. STRONGBOW, DOS EQUIS, TECATE...OH MY! HEINEKEN owns hundreds of brands, each of which has its own distinct look, feel, and personality. If they choose to feature 7 at a given conference, it’s like producing 7 distinct events. We work very closely with HEINEKEN USA to be absolutely on-brand every single time so that each beer resonates for distributors in a unique way. If you’d like to learn more about a particular HEINEKEN brand, join us at the Arch Bar in our office, where our fridge is always stocked with them. 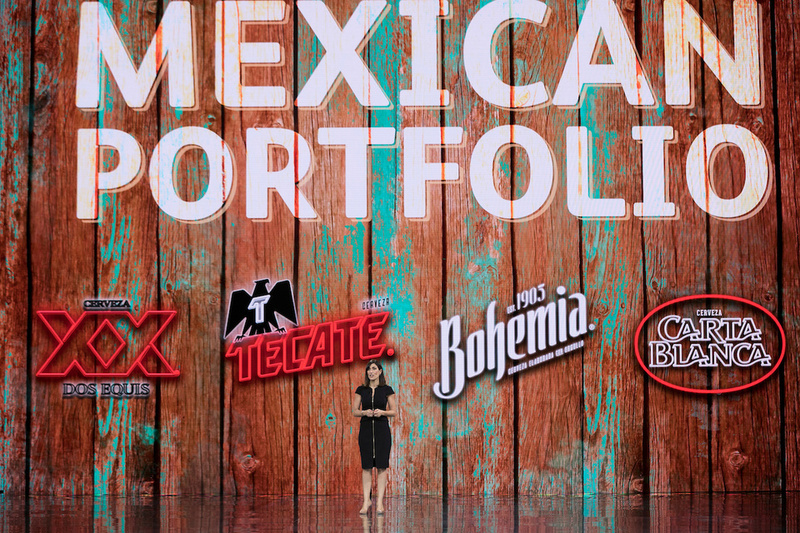 Bringing all these brands to life means three things: graphics, graphics, and more graphics! 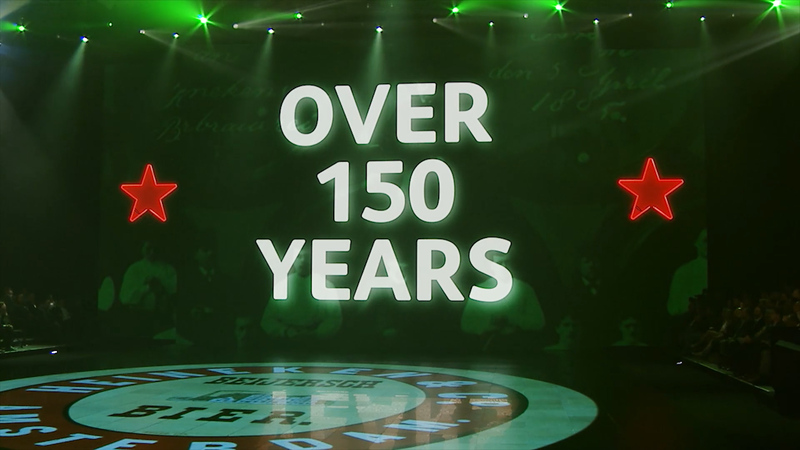 We collaborate with up to twenty graphic designers to make sure that every single image over the ten hours of total show time is beautiful, perfect, and HEINEKEN premium. Nobody loves a theatrical opening more than we do! For one of our HEINEKEN events we wanted to honor the City we were in (Chicago), and the fact that we were in an historic theatre. So, we created an homage to the musical Chicago with a cast of singer/dancers performing All That Jazz. We brought in Rihanna and Drake’s choreographer, and in the middle of the number it went from Fosse to Hip-Hop as the live jazz band was augmented by a DJ. Like the best live theatre, you had to see it, but Roxy and Velma would have been proud!